What Is the Definition of Portable Devices? Computers are getting smaller, thinner, and more lightweight with every new generation of consumer technology. Your smartphone is a computer you carry in your pocket; you can play advanced games with portable game systems; you can interact with your smartphone with a tiny gadget on your wrist. All of these things are portable devices, but they might not be necessarily mobile devices. There's no standard definition for "portable device," although this term probably has been in use longer than the term "mobile device." As the name implies, a portable device simply means something that is small and lightweight enough to move around and carry with relative ease. Even the first laptop computer, the Osborn 1, which weighed a whopping 24 pounds, was considered a portable computer. "Portable" is a broad term that encompasses everything from a printer that can be carried around to a smartphone you carry in your back pocket. 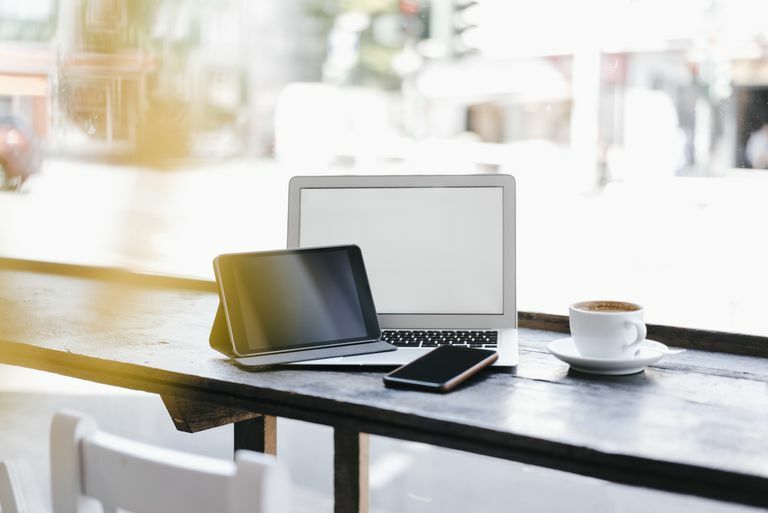 The term occurred much more frequently before laptops and smartphones became popular, perhaps because before the smartphone revolution there was a clear distinction between computing devices that could be (fairly) easily moved and those that couldn't be. These days, most gadgets — including phones, tablets, and laptops — are more often considered mobile devices. The distinction is a fine but important one. Rather than focus on an item's portability and ability to be carried, the "mobile device" term describes how it helps us users: They're small and capable enough to allow us to be mobile. The term mobile device also connotes wireless connectivity. If a mobile device doesn't have internet access, we probably wouldn't consider it a very capable productivity enabler these days. The connectivity question could now be the fine line between "portable" and "mobile" devices. An external hard drive or external battery pack, for example, might be considered a portable device, while a small wireless hotspot could be considered a mobile device. In the end, differentiating between the two terms might be like splitting hairs, since most gadgets, portable or not, are getting wireless or connectivity features. There are a ton of portable devices now these days, though, from media players and game consoles to wearable computers and smartphones. We've come a long way so that even monitors are now portable and mobile. What Is a Mobile Operating System and What Does It Do?